An old traditional wood-fired bread oven, in the vicinity of Montalcino. 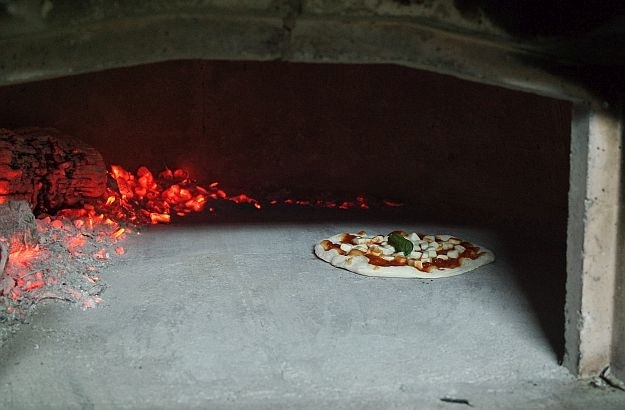 A pizza is not a pizza if it hasn’t been baked in a forno al legna. In Italy, good homemade pizza comes in a thousand and one variations. And you are definitely spoilt for choice when it comes to toppings. In the good old days when people didn’t have a car to drive to the nearest bakery or supermarket, these masonry ovens were regularly set ablaze to prepare the bread for the whole household. Nowadays, it is rare to find denizens who still bake their weekly ration of bread in this fashion. 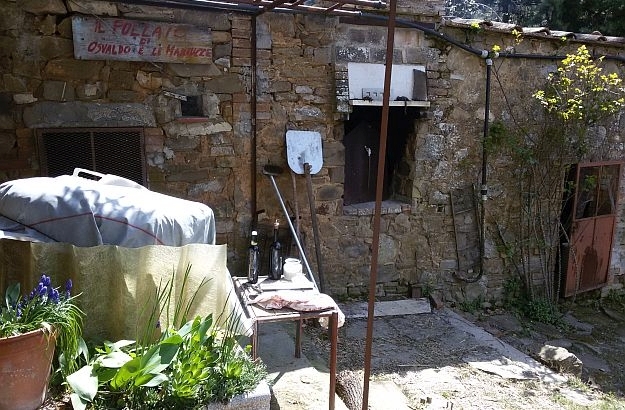 But the old, sturdy and often picturesque forno al legna, as it is called in Italian, is still treasured today for the preparation of the homemade pizza. And as any Italian will tell you: pizza isn’t pizza unless it’s cooked in a genuine forno al legna. That’s where the unanimous opinion ends, though. 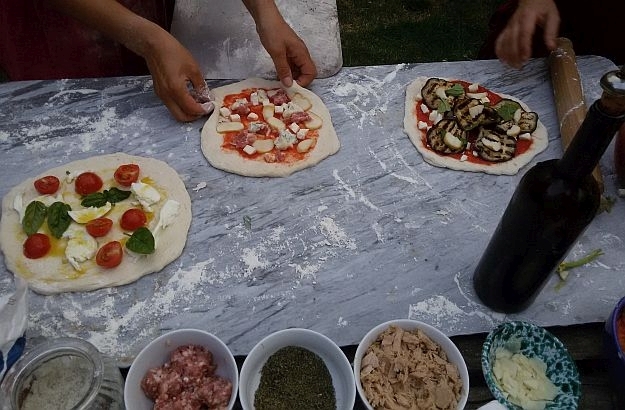 For, in the bel paese, whole summer nights will be spent in endless discussions about the “secrets” of a real good pizza. Should beer or milk be added to the dough? Some will heartily say “yes, of course!”, while others will shout “sacrilege”! How thin and crusty should the baked flatbread be? Romans will avow: “Very thin and crusty”; and Neapolitans will retort: “No way! Thick and smooth!” – even though you might eventually get them to agree that the longer the dough rests, the more digestible the pizza will be. I, for one, have learned to appreciate most of the diverse pizza recipes and formulae. The toppings often put me in two minds, though. 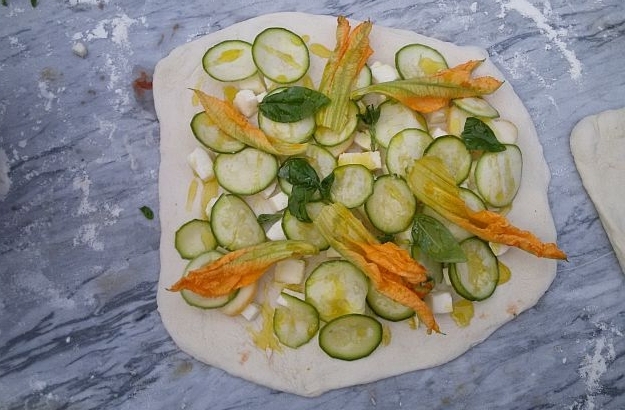 My daughter invariably chooses the Margherita pizza, but I’m usually torn between a vegetarian pizza bianca topped with mascarpone, zucchini and fresh tomatoes, and the mozzarella-free pizza rossa with garlic and anchovies. But one thing is sure, I’ll never forego starting the evening with the simplest of all creations that can be made with the right ingredients: il ciaccino, a crisp pizza variation achieved by baking the dough without any toppings at all. Just a twig of rosemary and a dribble of the finest olive oil are added once it is out of the oven. Enjoy it warm with a glass of prosecco on a hot summer night, and you’ll be on cloud nine! 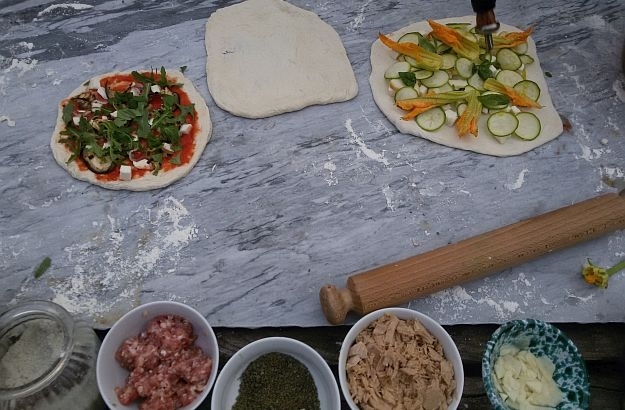 If you’d like to sift through the secrets of pizza-making with a professional during your next holiday in Tuscany, please do not hesitate to contact Katja. She will be delighted to send you information on our recommended Italian cooking and pizza-making classes.